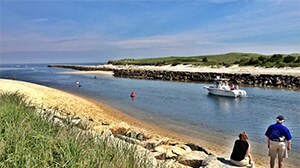 In addition to the natural beauty of Nantucket's beaches, moors and coastline, the Island's rich history is attractively and meticulously well-preserved. Right off the ferry, one is struck by the charm of the cobblestone streets and beautifully-maintained brick homes of Nantucket Town, including exquisite Nantucket vacation rentals. For nearly 100 years – from the mid-1700’s to the late 1830’s – Nantucket was the whaling capital of the world with as many as 150 ships making port in Nantucket during its peak. During the period 1820 to 1840, Nantucket’s population swelled to 10,000 due to the industry created by whaling, making it the third largest city in Massachusetts. Only Boston and Salem were larger. The whaling ships of Nantucket actually sailed all around the world when the local whaling waters were depleted. 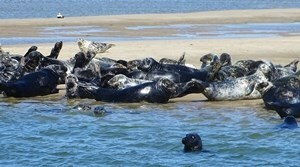 They were looking for right whales and if possible sperm whales. Right whales were valued because they were slow swimmers, making them easier to catch, and they floated high out of water, making them easier to tow back to the ship. Sperm whales were harder to catch but each held a reservoir of valuable spermaceti oil in their head. They brought prosperity to the small island due to the demand for whale oil and bone for the making of scrimshaw. In 1846, the “Great Fire” destroyed the wharves and much of the business district in the town of Nantucket. This event, along with the dwindling demand for whale oil, the silting-up of the harbor, and the California Gold Rush in 1849, all contributed to the end of the whaling-era prosperity. The Nantucket Historical Association’s Whaling Museum was first established in 1929. After the Great Fire, the Mitchell family built the structure as a candle factory. Candles were made from the oil pressed from whale blubber and spermaceti oil found in whale heads. Two years later, it was purchased by local businessmen, William Hadwen and Nathaniel Barney, who continued to use it to manufacture candles. For about a dozen years beginning in 1860, the building was used for warehouse space before being reconverted into offices for the New England Steamship Company in the 1870’s. In 1929, the building was purchased by the Nantucket Historical Association, and the Whaling Museum was created. In 2005, the Museum was fully restored and, in 2008, became accredited by the American Association of Museums. 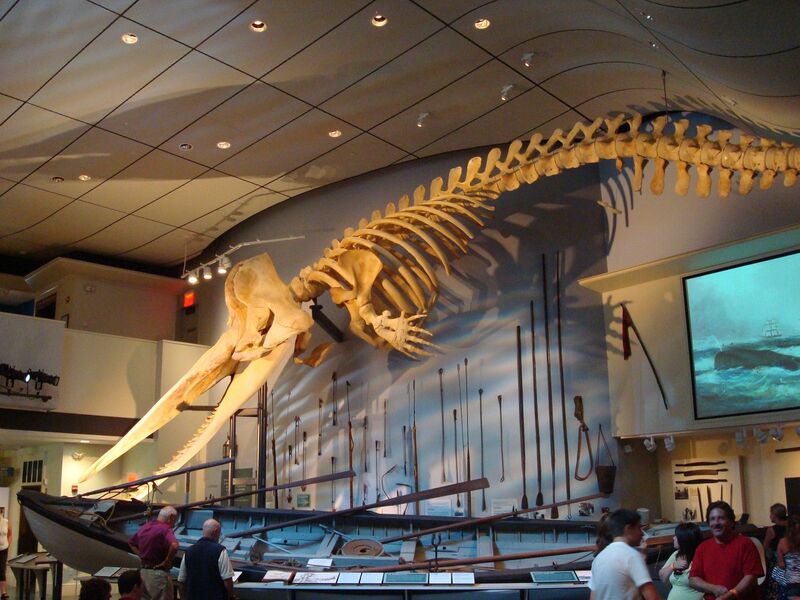 While the centerpiece of the Museum is the complete skeleton of a 46 foot bull sperm whale suspended from the ceiling, the Museum also houses a large collection of whaling artifacts and memorabilia including longboats, harpoons, and scrimshaw. The museum's original use as a candle factory is well represented with exhibits about that trade as well. The exhibited beam press is the only one in the world still residing in its original location. 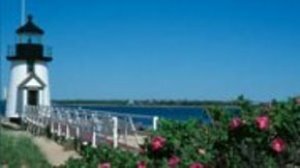 Other exhibits include an 1849 Fresnel lens used in the Sankaty Head Light and the restored workings of the Nantucket 1881 town clock. On a night in October of 1847, a woman stood on the roof of the Pacific National Bank near her Nantucket home with a telescope. This was nothing new as Maria Mitchell had, since childhood, a love for astronomy. At age 12, she and her father had pinpointed the location of their Nantucket home by observing a solar eclipse. So adept was Maria at astronomy that whaling captains trusted her to plot the navigation for their whaling journeys. Throughout her young womanhood, she acquired astronomical equipment and conducted observations. But on this October night, she would discover a comet that didn’t appear on any astronomical charts. The comet was named Comet Mitchell 1847VI. This discovery brought Maria fame, and the following year she became the first woman to be appointed to the Academy of Arts and Sciences. 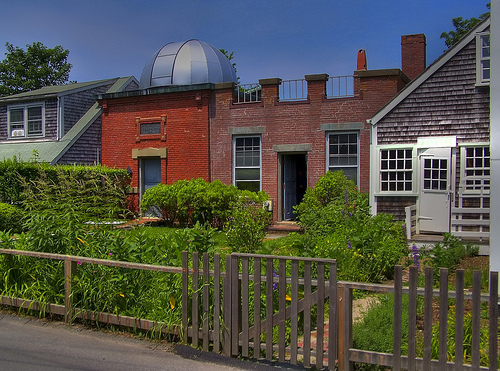 The Maria Mitchell Association was founded in 1902, and in 1908 the Maria Mitchell Observatory was built next door to her Vestal Street Nantucket home. This observatory, with its newly restored dome, is actually one of two observatories maintained by the Association – the other being the Loines Observatory west of town. The Loines Observatory actually has two domes, one built in 1968 and the other in 1998. The observatories are open for regular public tours, programs, and lectures and also host several special events during the year. View a scale model of the solar system, learn how to operate a sundial, and observe the night sky. For more information or to view information on each month’s night sky, visit their website. Having fallen into disuse during the Depression following the demise of Nantucket’s whaling industry, Nantucket's wharves and cottages sat empty and derelict. In 1920, summer visitor Florence Lang, an amateur artist who lived in Montclair, New Jersey, and her husband Henry acquired a group of rundown buildings that had formerly been fishermen's shacks and boat-houses on the waterfront and renovated them for use as artists' studios. She rented out the studios for what were then considered nominal fees of fifty to seventy dollars per season. Artists quickly filled the spaces to both live and work together amid simple, no-frills conditions. Many returned year after year to their favorite studios. The colony flourished, in no small part thanks to this affordable real estate. 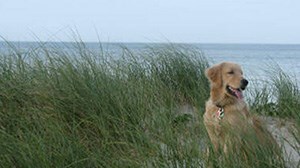 During the disastrous economic conditions during and after the Great Depression, high summer seasons on Nantucket surprisingly continued uninterrupted—a boon to all concerned. The arts were then central to the economy, as they are today. Less than a year after the stock market crashed, the first Sidewalk Art Sale was launched in August of 1930 by illustrator and painter Maud Stumm (ca.1870-1935). She had studied in France where open-air art markets were common. The sidewalk show ran for a string of fair weather days every August. Featuring dozens of artists from all levels of skill and divergent walks of life, it operated continuously for more than fifty years—a child of the Depression that grew to be vigorously healthy. The event consistently drew off-Island visitors. 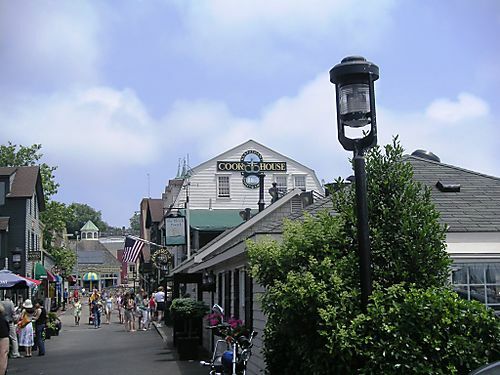 Today Nantucket’s wharves are home to art galleries, crafts and jewelry shops and restaurants, and they are a must-see when visiting the Island. The original architecture has been well maintained, and many of the buildings are original.